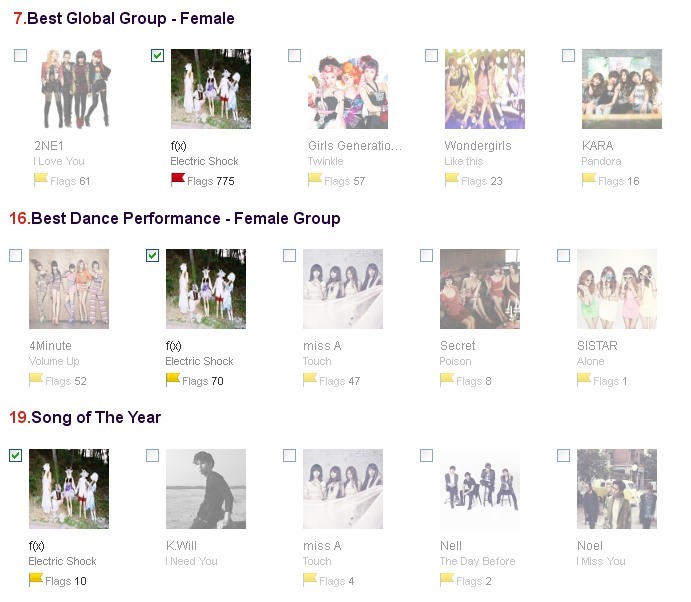 MAMA 2012 Voting | DearKrystal.net - f(x) Krystal International Fansite "Shine Bright Like A Krystal"
2. Log in with your Mnet ID or sign up for a new one if you don't have an ID (you must use a working email address!). Support flags is a system based on invitation points. You can send out invitations URL in your SNS accounts/blog/tumblr/etc. After you reach 20 points, you can hang a support flag for f(x) or send them a digital cheer message (each message will be shown for 10 seconds for 1 week). However it is more advisable to hang a support flag. As you can see in the picture above there are flags under their picture. A user must vote immediately using your invitation URL for you to gain points! You can post your invitation URL in the comment section to get more support flags for f(x)!